How to present yourself in the contest "Teacher of the year"
A business card is a tool that will help to represent a person in the best light. Information contained in it should clearly and briefly talk about what the contestant knows and what skills he owns. A business card can be made in paper or electronic form (for reference by mail or on the box on the Internet), or written as a script for performance. In any case, writing this introductory letter to introduce yourself, indicate age and education (class, Institute, faculty). Write text that reflects your extraordinary ability, success in a particular case. Focus on the conditions of competition. 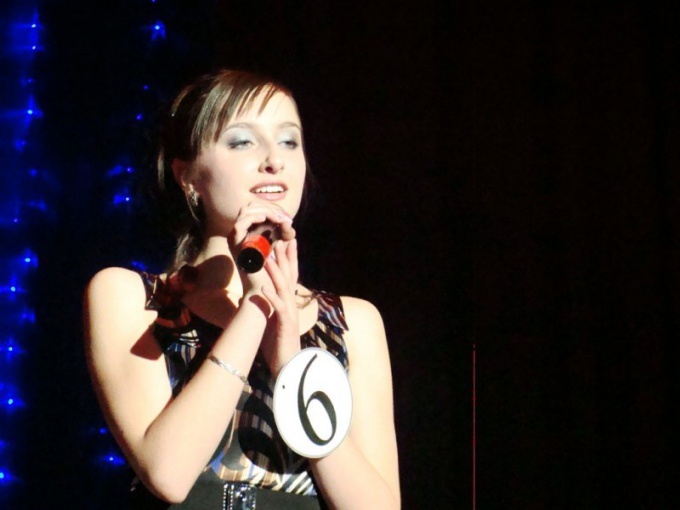 If it's a recital, write about yourself in verse, by choosing unusual syllables. Or sing the song and attach a music file to the letter. If you want to participate in the competition for the best mathematical, chemical, physical knowledge, add letter examples complicated task you choose. Accompany the text with photographs. They should not be standard. Try images to reflect their talents. Make the image such that they were interested in jury. If you know and love to draw, attach your work to the message. Even at the competition of the exact Sciences, this ability can be appreciated. If you present a business card will have to personally front a jury, make it as a script for performance. Shall describe minutely what will you do, how to leave the scene as greet hall. Do not write complex texts with unfamiliar to the wider public words. Prepare easy, fun presentation. Standing on stage, imagine everyone in the audience, your good friends. Tell them about yourself like you're doing in the company of friends. If you wrote for a business card, a song, think about the musical accompaniment. Learn whether the contest recorder and speakers, and bring a disk with the desired melody. Consider what will be your costume. Here we should pay attention to the subject of the competition. If this is a serious event, prepare a classic jacket, shirt, pants or skirt. For creative evenings, you can choose any outfit that reflects your business card. Definitely the pitch. It is desirable that saw him not only friends but also strangers. Ask them to tell you what to change, what words were incomprehensible, the impression created in General. Signature performance should not be too long. Try to stay within seven to ten minutes.